Afternoon everyone! It has such a nice day outside that I have spent most of my day outside. I'm thankful to have any nice weather as long as it's not raining all the time! >_< I have a new color to share with you coming out on May 1st from Silly Bee's Chickadees. Before you read this post (ok if really must read this post first, I guess that's ok :P ) run over to Silly Bee's Chickadee's Facebook page and enter her giveaway! She is giving away an entire set of the Don't Eat The Polish collection, a collaboration between her and Sonoma Nail Art. 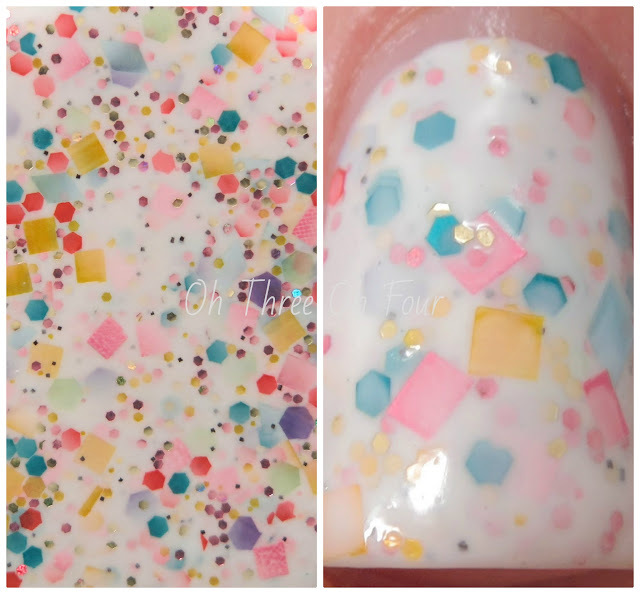 Melly's Max is pretty much birthday cake on your nails with some added sparkle! ;) It has a white "crelly" base and an assortment of glitters in various colors. I used 2 coats with a top coat of Seche Vite. Again, no other way to describe this than birthday cake on your nails! 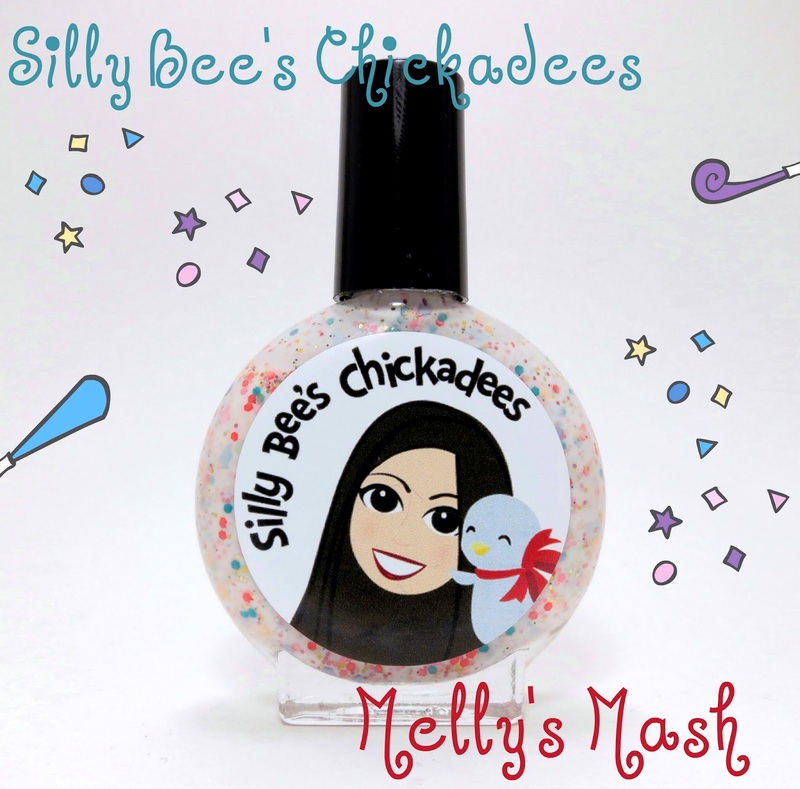 :P And it's perfect because Melissa, the creator of Silly Bee's Chickadees, created this polish to celebrate her upcoming birthday! :) Formula was easy to work with but it does dry a bit bumpy, so a top coat is needed.